One-story, two-story, many styles. 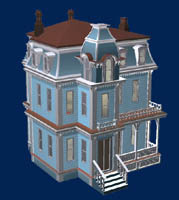 . . even 16 Victorian houses, each in 3DS, LWO and OBJ formats. 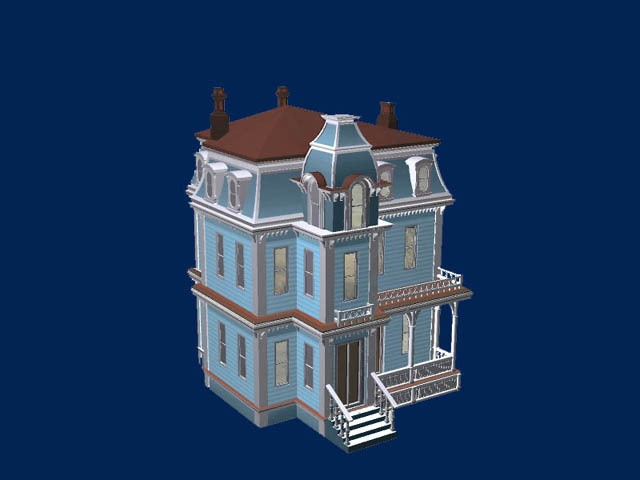 Customize each house with textures of your choice. You know the time it takes to model a suburban house. Or how about an entire neighborhood? 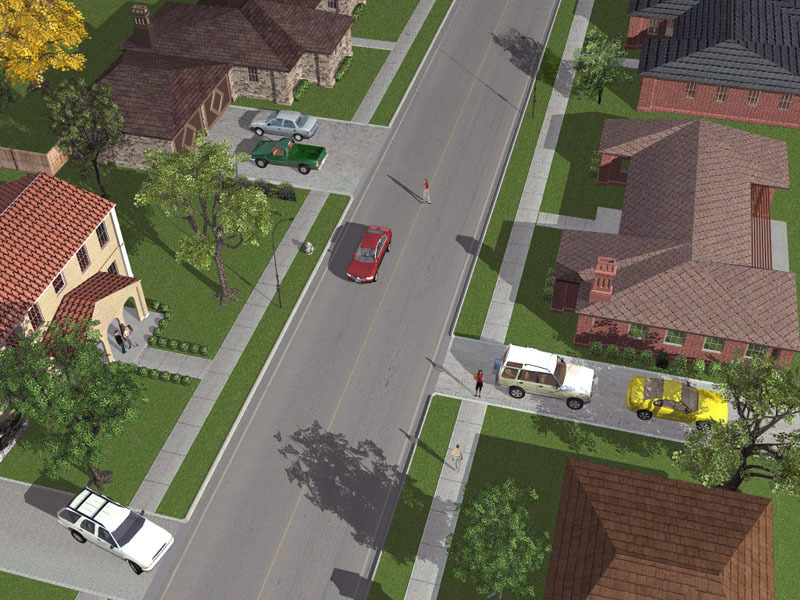 Save valuable time and money when creating suburban scenes. Models have been hand-crafted to show the highest levels of detail. Includes thumbs browser for quick and easy access to each model. Creating a CGI neighborhood can be an arduous task, even modeling just a block of houses. This is especially true if you're under a deadline. Many artists spend literally months modeling and texturing residential scenes. 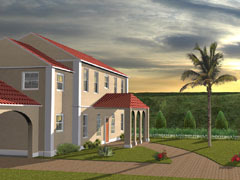 Modeling even one of these houses can take you many hours and we offer you 105 to choose from. 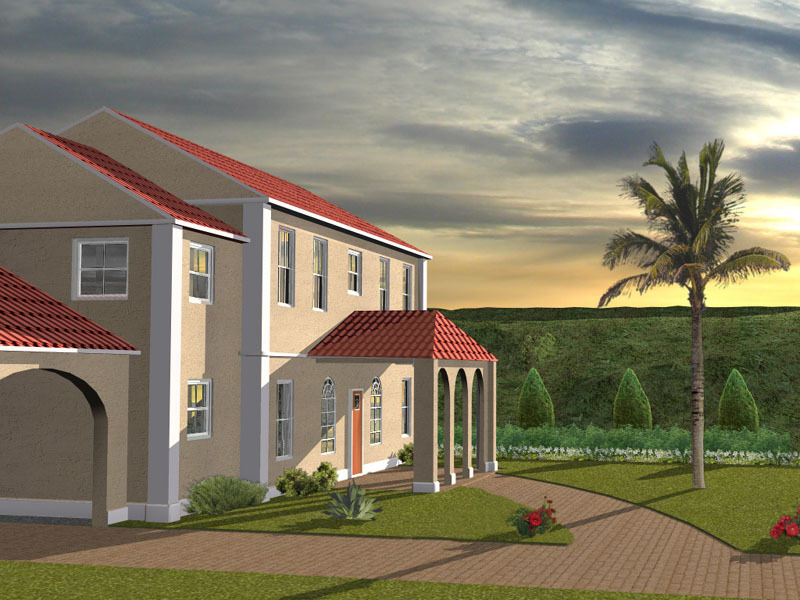 Includes highly detailed doors and windows. And we offer them to you in file formats that fit your 3D software. 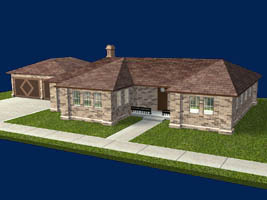 Models have been hand-crafted to show the highest levels of detail, including Boolean Subtract windows and doors. 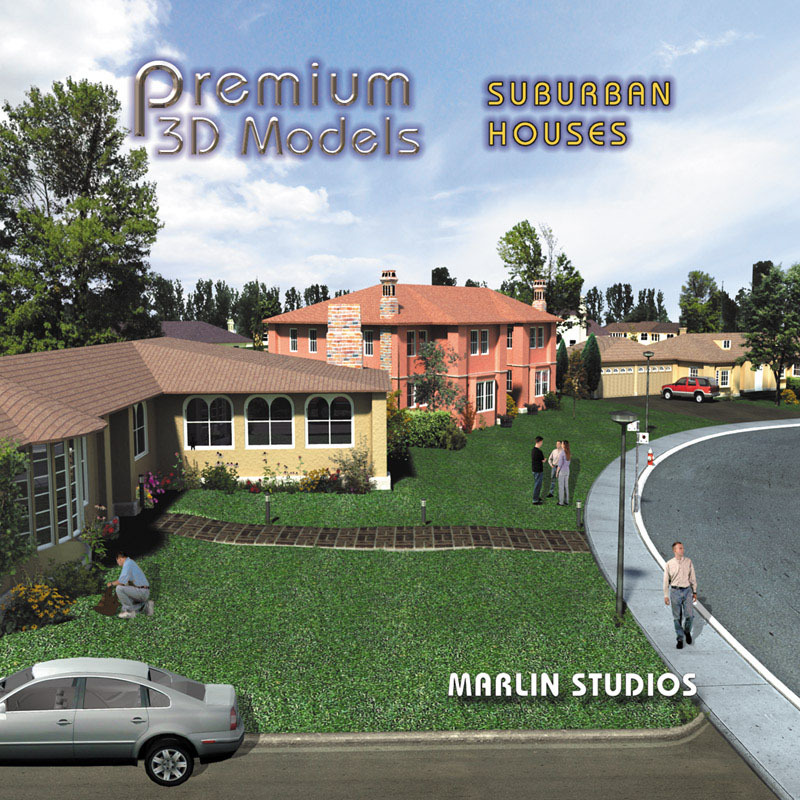 The 105 Suburban House 3D models are highly detailed and suitable for close-ups. The models are especially effective for animated flythroughs, with no limitations on the virtual camera's position. 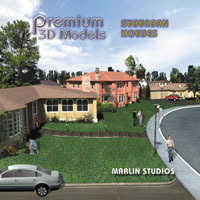 The Suburban House models are presented in multiple file formats: 3DS, LWO6+, and OBJ formats. 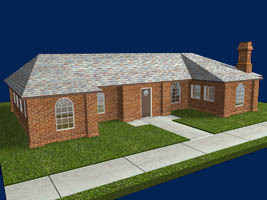 These models are priced so everyone can afford them and are fully licensable and royalty free.